Mosquitoes are not only annoying, but they are a public health ris. With all the blood-borne diseases they are capable of transmitting (Malaria, Zika, Dengue, and the West Nile are just a few worrisome examples); they are well known for being dangerous to human health. We are all searching for solutions to keep mosquitoes away. You can use good old repellents, or trying wearing mosquito-resitant clothing. You may have also heard about bracelets or wristbands whose manufacturers claim will protect you against mosquitoes. But do they work, and what are their pros and cons? Which are the best ones to buy, and how can you choose the most suitable one for you? First, imagine the following scenario: it’s a hot, humid summer day; you’re out of the shower, all dressed up and ready to go out. Of course, you don’t want to be yet another ‘victim’ of mosquito bites, but the idea of applying an oily, sticky repellent on your skin doesn’t sound very appealing, especially when you are already applying sunscreen. Plus, there is evidence that sunscreen and DEET used together causes more DEET to penetrate the skin. Here’s where mosquito repellent bracelets or wristbands come to the rescue. 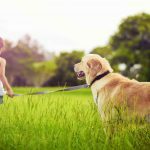 While it’s true that these products don’t have the same overall effectiveness of a topical repellent, there are certain advantages to using them in some situations. Their purpose is to create a mess-free, quick, more natural alternative to skin penetrating lotions and sprays. All you need to do is slip them on and you’re all set and protected. They’re extremely convenient, don’t leave any residue on your body and clothes, don’t require several applications, you can put them on fast, there’s no mess involved, you won’t run out of repellent, and you can easily hook them to your purse, backpack, or jeans. As most of these products are infused with natural botanical ingredients, the first thing to look for is the essential oils that are confirmed to keep mosquitoes away. For example, citronella, lemongrass, geranium, lavender, eucalyptus, and peppermint oils all release vapors that are unpleasant to skeeters, confuse them, as well as making them lose their appetite for blood. Choose a bracelet or wristband that is easy and quick to clap on and offers extended protection. 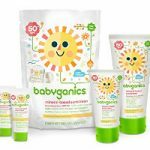 If you’re searching for something that keeps your exposure to chemicals at a minimum, pick an item that is DEET-free, natural, and safe for use by both adults and children. 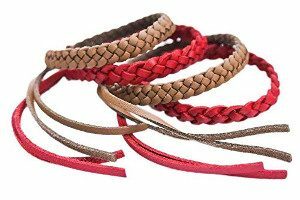 Design-wise, you might want to purchase a set of bracelets that comes in a variety of colors, so you can match them with whatever outfit you may be wearing. The material should be soft and pleasant when touching your skin and won’t cause any type of irritation. Also, go for an adjustable wristband that can be alternatively worn around your wrist, ankle, or even wrapped around your ponytail. Oh, and if you’re planning to wear it while you go for walks, hikes, picnicking, trekking, and so on, waterproofing is a great feature to also look for. 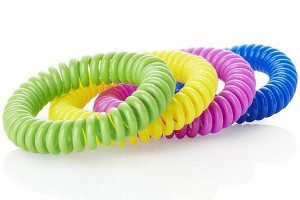 All in all, mosquito repellent bracelets or wristbands might protect you, to a certain extent, against those annoying and dangerous bites. There is a wide variety to choose from and they’re perfect if you want a non-greasy, non-oily alternative to topical products. Also, if you’re allergic to ingredients found in typical repellents, these items are often natural and chemical-free. You can also use them as a ‘just in case’ solution, or even as a secondary protection. The problem, though, is that it is a product that is not as closely regulated as the mosquito spray and repellent market. That means there are unproven bracelets and knockoffs on the market. If you are in a situation where preventing mosquito bites is critical, then stick with the tried-and-true repellents or lotions. Below, we discuss some of the best mosquito repellent bracelets and wristbands on the market. Not only is this product perfect for those of you who want to avoid DEET, its design is also fashionable and comes in a variety of colors. Offering up to 360 hours of protection both indoors and out, the Original Kinven® Mosquito Repellent Bracelet features a comfy custom fit and can be worn by both adults and children. Its high ratings prove what its manufacturer claims: it protects you against insect bites. Along with that, this bracelet is very durable, non-greasy, waterproof, and infused with a special blend of 100% natural essential oils (citronella oil, geranium oil, lemongrass oil) that will keep insects at bay. Another highly-appreciated, natural item, the Cliganic Mosquito Repellent Bracelet is DEET free and waterproof. You can wear it inside, outside, and even when you’re going out for a little hike or swim. Its safe, non-toxic, natural essential plant oils (geraniol oil, lemongrass oil, and citronella oil) repel not only mosquitoes but other biting insects as well. This band will protect you for up to 250 hours and it’s fully adjustable. There are several colors in each package, so you can start off by wearing whichever you find most aesthetically pleasing. 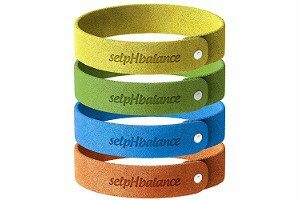 Awesome for both adults and kids, SelpHbalance Mosquito Repellent Bracelet is made out of a soft, microfiber material that will feel comfortable against your skin. It’s a non-toxic, quality-tested, durable product with citronella, lavender, eucalyptus, Geraniol, and lemongrass oils as its insect repelling agents. According to its numerous positive reviews, this bracelet protects against mosquitoes, and many other annoying insects. It offers a long-lasting protection (up to 240 hours), which makes it great for wearing during all sorts of outdoor activities like trekking, hiking, camping, gardening, running, and so on. This mosquito repellent bracelet is also lightweight and adjustable.